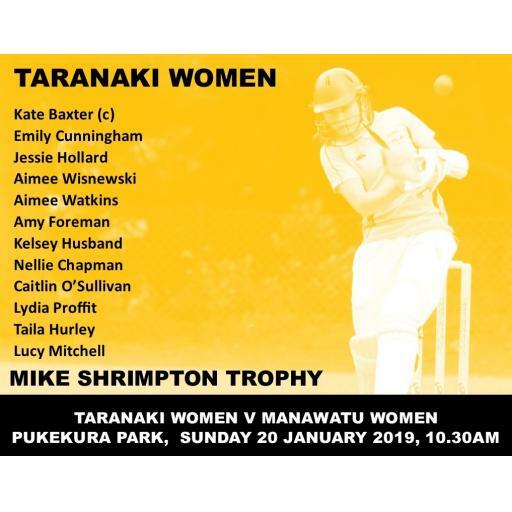 The Taranaki Woman’s team go head to head with their Manawatu counterparts at Pukekura Park on Sunday. It is the third and final round of the Mike Shrimpton Trophy, Taranaki’s campaign however hasn’t really got started as both their previous two games have been abandoned. The Taranaki side will go into the game missing Hinds opener Natalie Dodd, Kate Baxter will once again captain the side, the team will want to put up a good showing in readiness to defent their T20 title early next month.